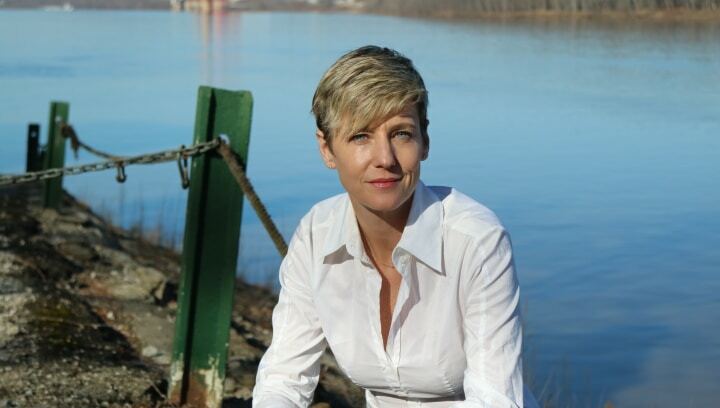 Newport, KY–Rachel Roberts, a Democrat and local business leader, is on the ballot this November to become Northern Kentucky’s first Democratic woman elected to the Kentucky State Senate. Rachel is from a long line of civil servants and is taking the natural step to serve residents of Senate Dist. 24 which encompasses Campbell, Bracken and Pendleton counties. Roberts is owner of The Yoga Bar studios, voted Best of Northern Kentucky, and co-owner of RAKE Strategies, a brand strategy firm. She grew her businesses from scratch and had both the savvy and dedication to build The Yoga Bar into a thriving hub for community involvement and charitable fundraising. As with the rest of her family, Rachel Roberts always looks for the best opportunity to serve her community. Her family roots are in Paris and Lexington, Kentucky. Rachel’s Mother, Norton Roberts, is a Chase Law School graduate and spent her early career working for labor rights. Rachel’s father, John Roberts is an Addiction and Mental Health Specialist. Rachel and her husband Michael Skrzelowski, a Beechwood H.S. graduate, live in Newport.